SPECIAL DEAL - Usually 7.95, today just 4.95 - £3! 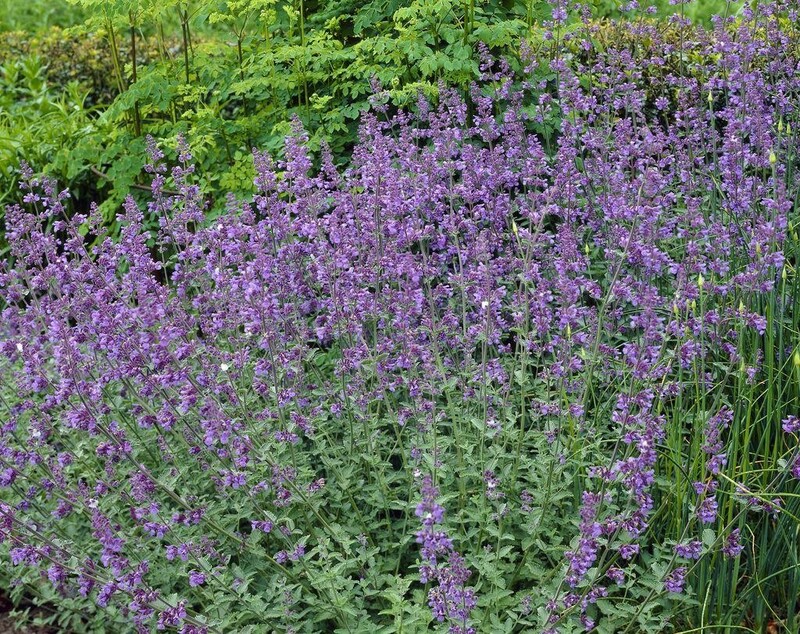 When planting the edge of a long driveway or around a bed of roses, there are few better plants than Giant Catmint Nepenthe 'Six Hills Giant'. This bushy, clump-forming perennial, useful for separating strong colours in the shrub or flower border, and very effective when used with stone, either in walls, paving or rock gardens or as an edging plant. 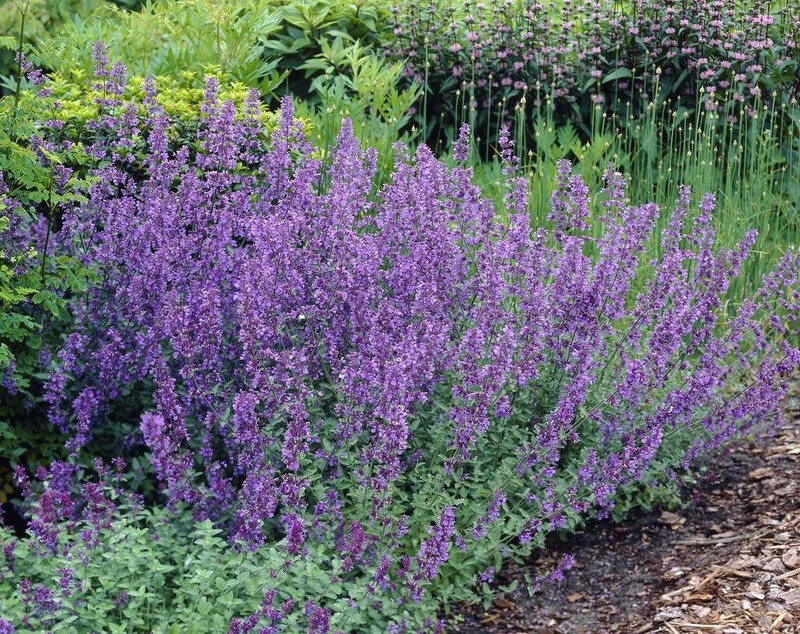 It forms spreading mounds of grayish green leaves that are aromatic when crushed, and the numerous flower stems carry hundreds of small, violet-blue flowers throughout summer. This robust plant grows to about 45cm and needs to be grown in full sun. It is extremely drought tolerant and it will even grow in poor soils requiring very little supplementary fertiliser. Supplied in approx 2 litre containers.